Stand out from the crowd with our five stars rated ⭐️⭐️⭐️⭐️ business cards! 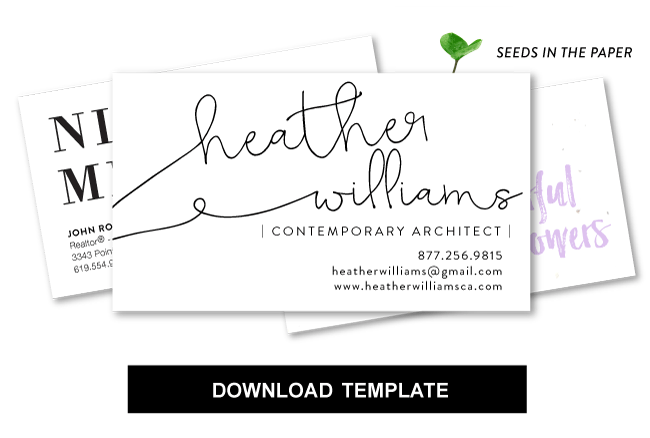 Order the most amazing custom seeded paper business cards. It will make a bold statement and help your business grow like the cards themselves. I love my cards! Promoting my business will be easy since I'll enjoy showing off these cards! Great cards and easy to work with. Thanks for the fast proofing. Super sharp looking. We got them in just a week! Thank you tons!